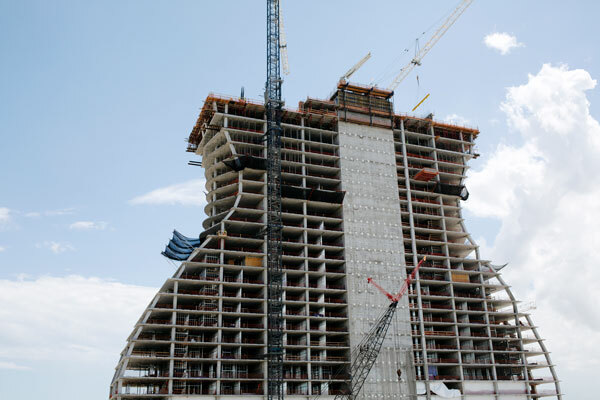 Approximately six miles inland from the Atlantic Coast, between Miami and Ft. Lauderdale, Florida, in the municipality of Hollywood, a hotel is going up with a head-turning shape. Already its curved sides are starting to give away what it will eventually be: a 450-foot-tall glass guitar, complete with strings and the single curved lower horn of a classic Les Paul. 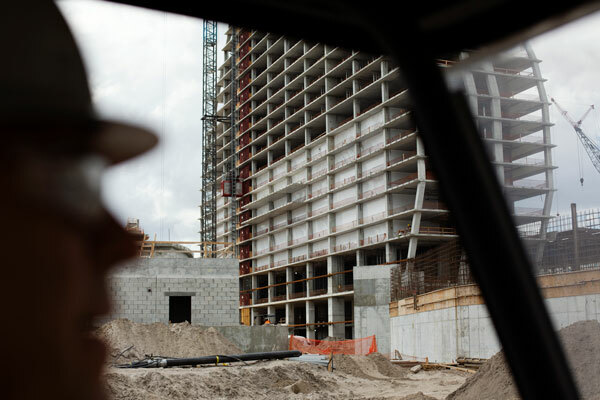 The project is being overseen by the Seminole Tribe of Florida, which, in addition to attracting attention for its rich cultural heritage, has set a number of precedents in the gaming and hospitality industries. In 1979, it was the first tribe to open high-stakes bingo halls. In 2004, it opened two Seminole Hard Rock Hotels & Casinos in Florida. And, in 2007, it acquired the entire Hard Rock brand. Now, in addition to expanding the Hollywood Hard Rock–Tampa, the Seminole Gaming Administration is working on the guitar as part of a massive renovation and expansion of the Hard Rock Hotel & Casino–Hollywood. With $1.5 billion in new construction alone, the project is scheduled for completion in the summer of 2019, just before the 2020 Super Bowl at Miami’s Hard Rock Stadium. When completed, the site will include the 36-story guitar-shaped East Tower, with 638 guest rooms, private gaming suites, and lighting in the curtain wall of its façade for computer-controlled music and light shows; the new 6,500-seat Hard Rock Live entertainment venue; casino space twice the size of the original; 12 restaurants; 150,000 square feet of added meeting space; and a 10-acre campus filled with waterfalls, plunge pools, and retail shops. The new Pool Tower hotel will have an additional 168 guest rooms, including swim-up suites. Stephen Dabbs is Seminole Gaming Administration’s senior project director. His most important priorities are keeping the entire project on schedule and accommodating guests while the facility remains open for business. That has meant creating some temporary facilities to replace those being renovated or demolished. In the case of the Hard Rock Live performance venue, the Hard Rock Event Center was built inside what will be the East Tower’s Grand Ballroom. The final show occurred in the old space at the end of February, and the event center, with special finishes, seating, and sound attenuation for a concert venue, went into operation in March. The old space was torn down, and when the new Hard Rock Live is completed, the event center will be dismantled, and finishes for the Grand Ballroom will be installed. A similar process took place to create a temporary steak house in the Pool Tower’s ballroom, which is using kitchen facilities in the new meeting room space while the old steak house is completely rebuilt. Extensive custom-design features also frequently lead to scheduling and coordination challenges. A previous project Dabbs worked on used custom tiles produced by a specialty supplier who worked out of his garage. Dabbs sent pickup trucks to wait for the finished product. For another job, an Italian plant producing custom marble was flooded, so, to meet deadlines, Dabbs sent crews to help rebuild the facility. Custom features at the Hollywood Hard Rock include a canopy for an outdoor walkway, with a unique, organic shape that moves and rolls, and a porte-cochere with a steel skin. These sorts of challenges require a carefully selected team with the flexibility to accommodate the unusual scheduling and construction processes as well as a willingness to collaborate to work around numerous hurdles along the way. There are a few considerations that are unique to this project’s Florida location. The water table is high, so extensive pumping to prepare the site and building foundations heavy enough not to be lifted by water are required. Also, due to hurricane-influenced building codes, many items must be fabricated, assembled, and tested during construction. And, because the Seminole Tribe is a sovereign entity, all construction logistics, inspections, zoning, and approvals must stay within the boundaries of the reservation. Even though it creates some of the greatest challenges, producing custom features is one of Dabbs’s favorite parts of his job. 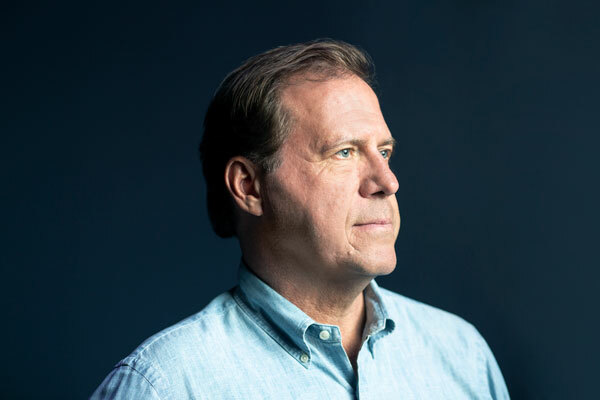 In the past, he has constructed a two-story turtle shell and a three-story mountain made of glass stones, the latter for the Mohegan Sun Casino in Connecticut. He also got the chance to do a multitude of 20- to 30-foot ribbon kites for the Revel Casino, in Atlantic City.